There is no shortage of holiday events to choose from in and around Dallas. Lucky for you, we've created the following guide to shine a light on the best holiday happenings — from festive events to cheerful productions. The following events take place throughout the holidays, so you can attend whenever the time is right for you. 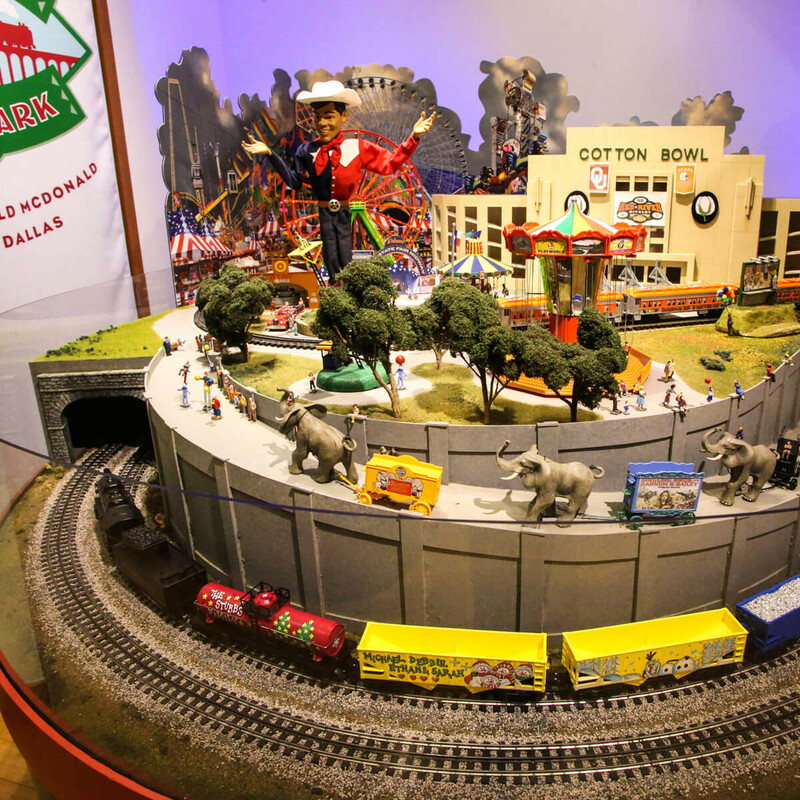 There are few Dallas holiday traditions as enduring as The Trains at NorthPark, which is now in its 28th year and 17th at NorthPark Center. 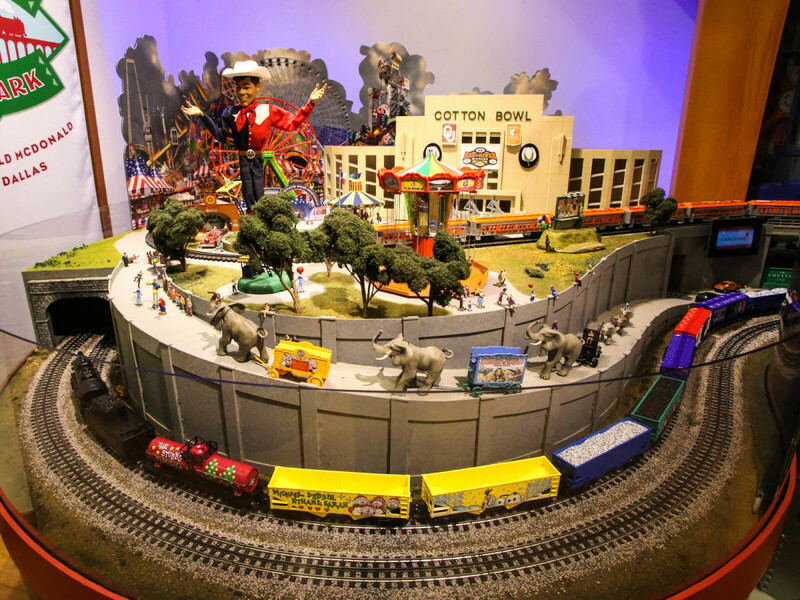 Sixteen-hundred feet of track takes trains through landmarks across America, including the Margaret Hunt Hill Bridge and Cotton Bowl in Dallas, Times Square in New York City, and the Golden Gate Bridge in San Francisco. The trains run on time through January 3. 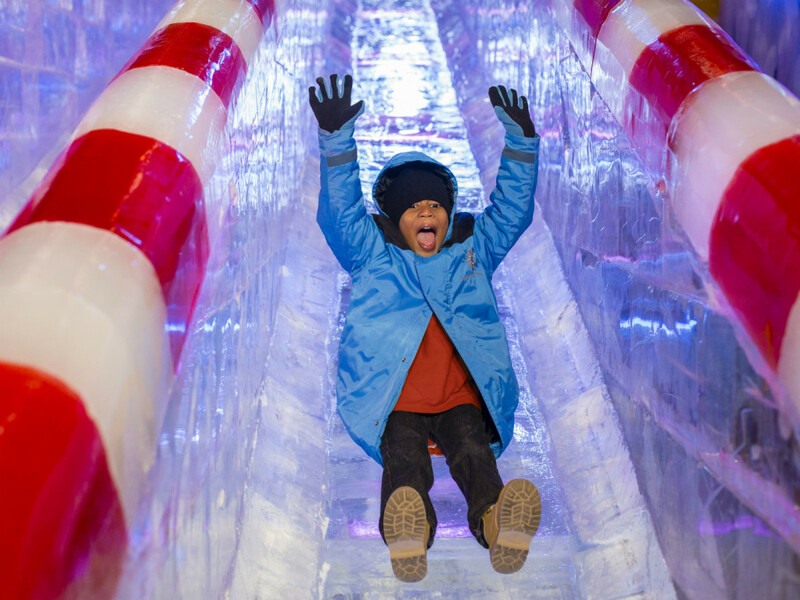 The annual popular attraction at Grapevine's Gaylord Texan resort features colorful holiday sculptures hand-carved out of more than 2 million pounds of ice. The display this year shows how Christmas is celebrated around the world. 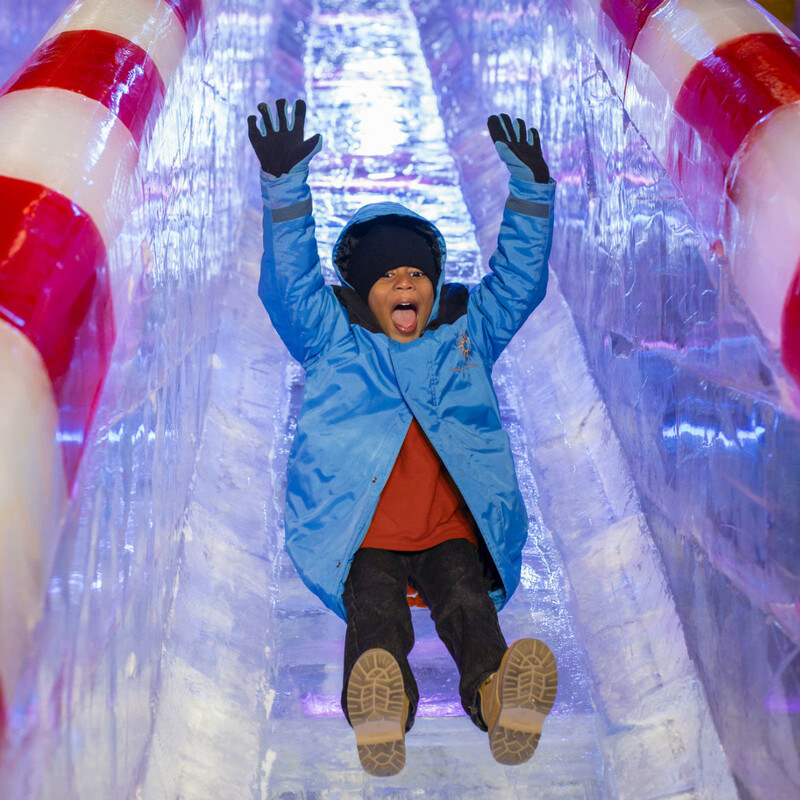 There are also two-story-tall ice slides, a 12-lane snow tubing hill, an interactive ice carving station, and more. ICE! will be open through January 3. This German-themed market outside of Globe Life Park in Arlington features a unique shopping experience for gifts and holiday decorations along with authentic German cuisine, holiday beverages, live entertainment, children’s activities, and much more. It runs through December 23. 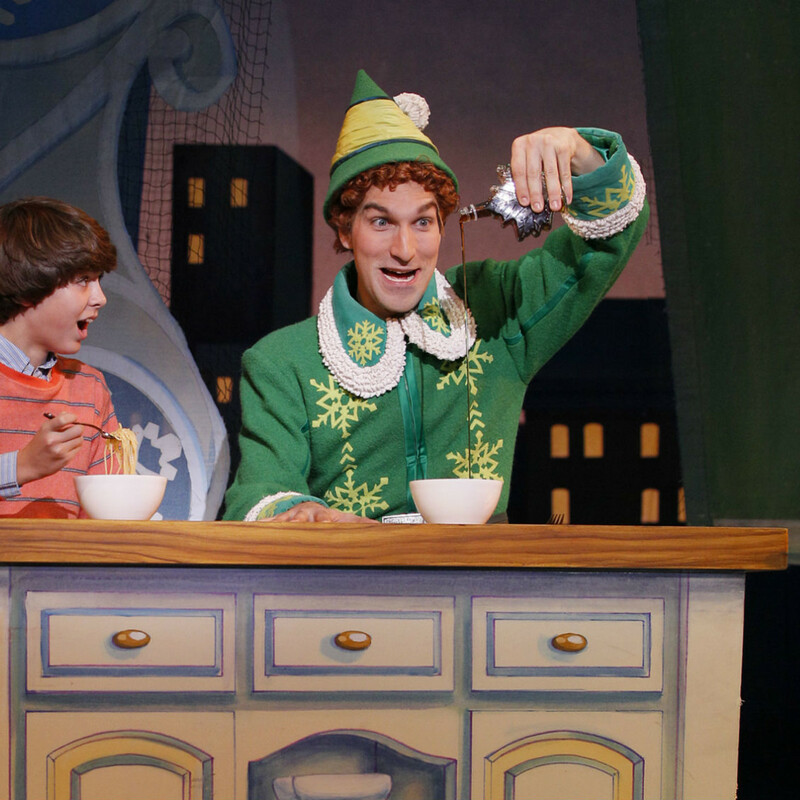 'Tis the season for fun, holiday-themed productions. 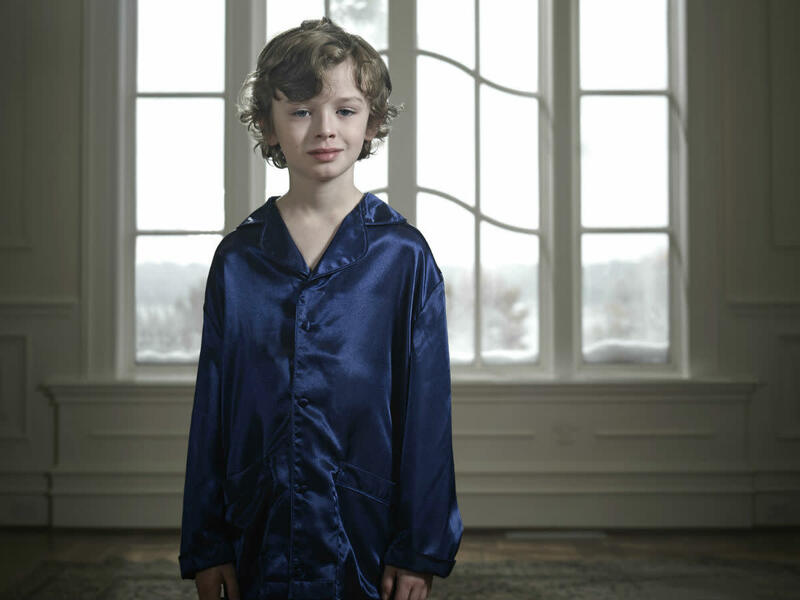 A world premiere two years in the making, Becoming Santa Claus tells the story of young Prince Claus who, just after celebrating his 13th birthday, sees a star in the sky signaling a momentous birth. Claus decides to dazzle this newborn with an assortment of the very latest toys before discovering that love is the most treasured gift of all. 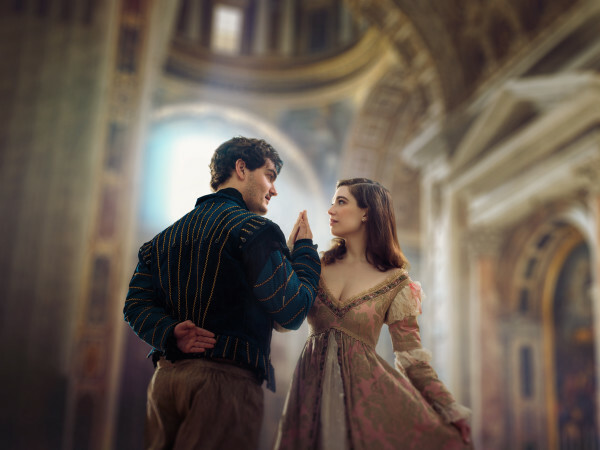 The opera plays only four times through December 12 at Winspear Opera House. You won't be able to stop laughing as B.J. Cleveland plays a beleaguered radio station manager forced to play all 21 characters in a radio production of A Christmas Carol when the cast gets caught in a snowstorm. The play will run at Theatre Three's basement space, Theatre Too, through December 20. 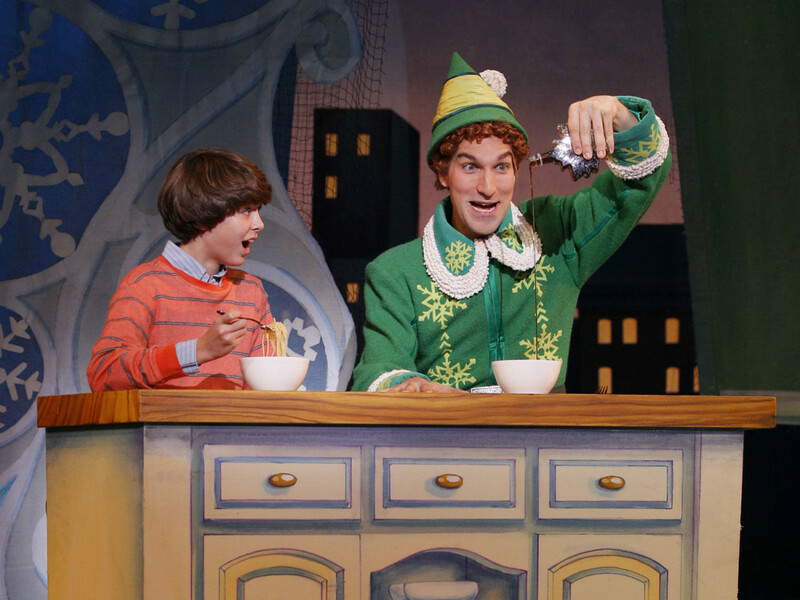 Running December 8-20 at the Music Hall at Fair Park, this adaptation of the Will Ferrell holiday movie is the hilarious tale of Buddy, a young orphan who is raised by elves, unaware that he is actually a human. 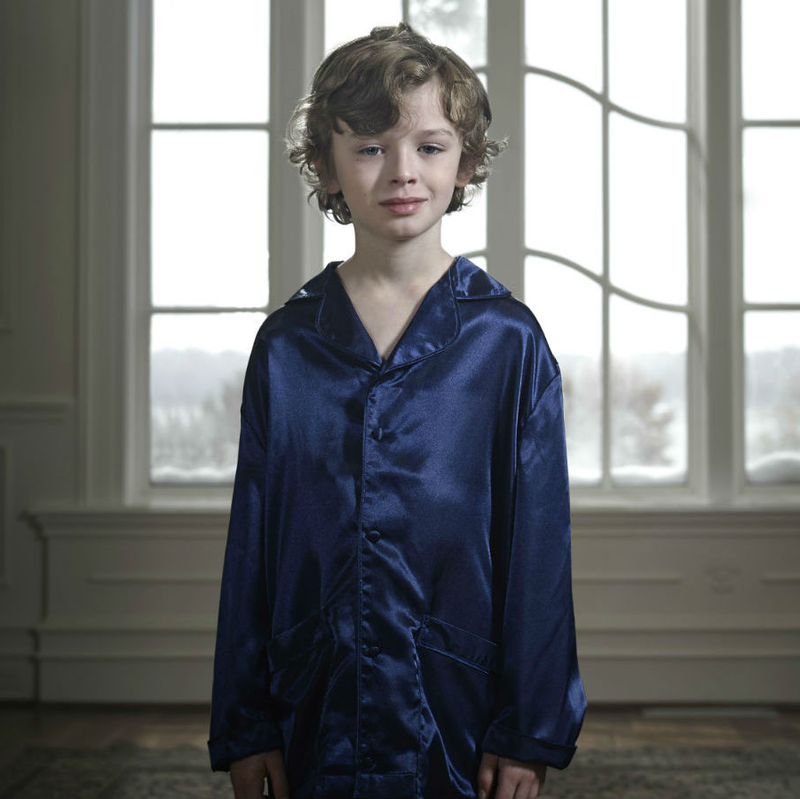 A journey to New York to find his real father brings out the Christmas spirit in everyone. True, it's not technically a holiday-themed play, but since the family-friendly production just extended its run through January 3, it's definitely a good option to consider. Peter Pan, Wendy, and the Lost Boys take on Captain Hook and his crew in a special tent in the Dallas Arts District. 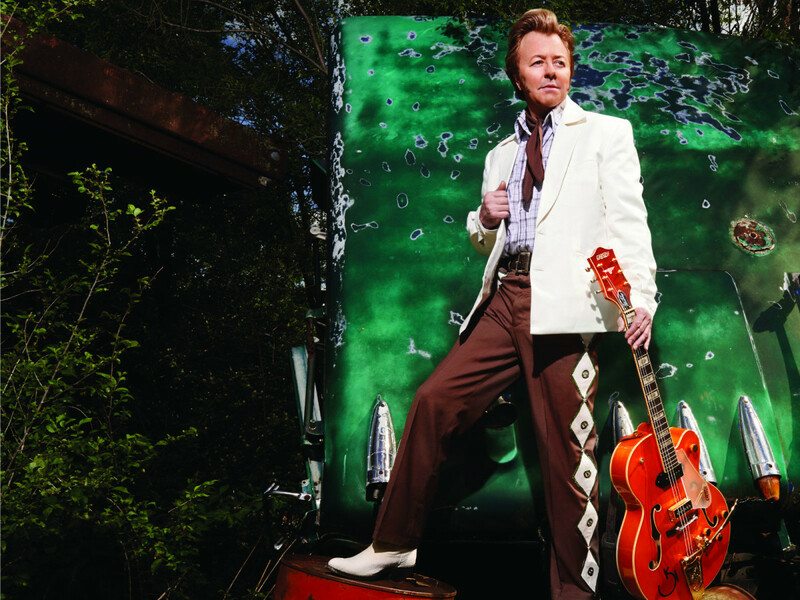 These concerts may or may not feature holiday music, but they've become a traditional part of many people's holidays. The 2015 edition of KDGE-FM's annual holiday festival, taking place at Verizon Theatre in Grand Prairie on December 9, will feature performances from Of Monsters and Men, Sublime with Rome, Panic! 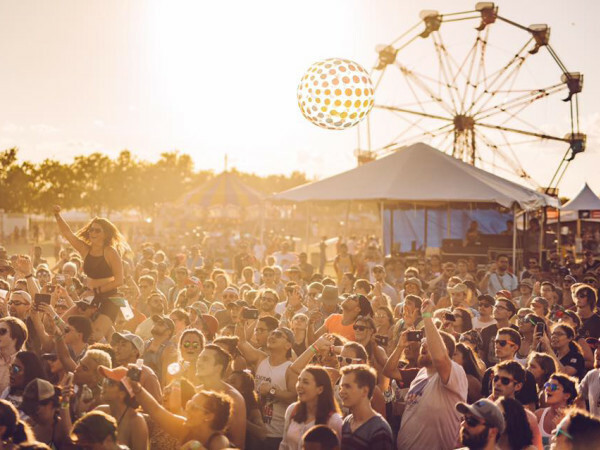 At The Disco, The Neighbourhood, The Struts, and Atlas Genius. Head out to South Side Ballroom on December 15 to catch performances by Fall Out Boy and British singer/songwriters James Bay and George Ezra. 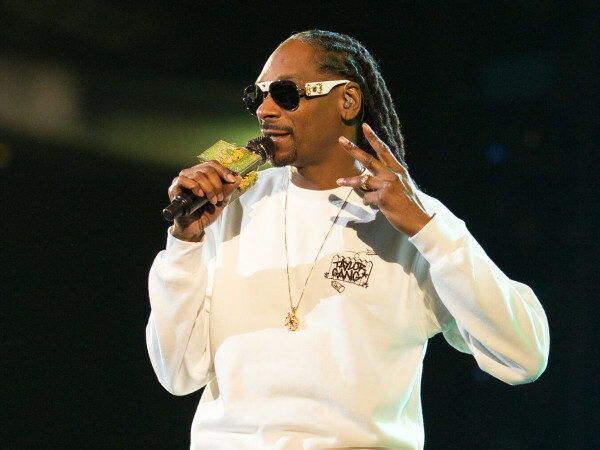 Finally, a few well-known bands will put on holiday concerts. 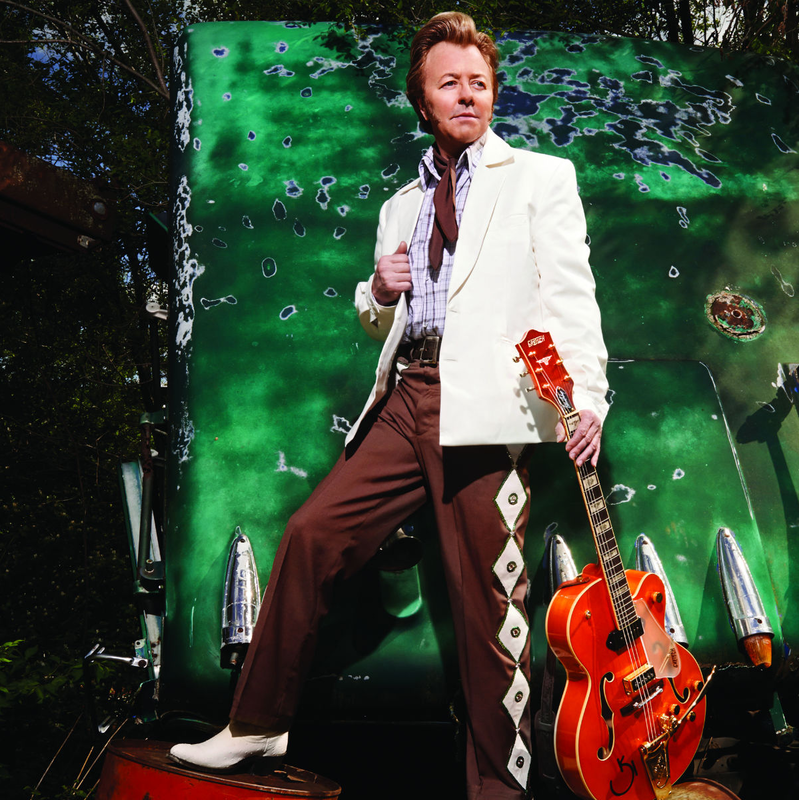 Even though Setzer's annual visit moves from Dallas to Allen this year, his concert at Allen Event Center on December 11 will still be a blast as Setzer infuses the crowd with his infectious rockabilly style, tackling his hits and unique versions of holiday classics. Dallas' own choral rock band moves from the defunct Lakewood Theater to the larger stage of the Majestic Theatre on December 12 for a family-friendly party. In addition to the great music, the event will feature face painting, balloon animals, and visits from Santa, Mrs. Claus, Rudolph, and more for photo opportunities. Just a few days before Christmas, Trans-Siberian Orchestra presents The Ghosts of Christmas Eve at American Airlines Center, doing two shows on December 20. TSO will also release its newest full-length album titled Letters From the Labyrinth, with every ticketholder receiving a digital download.